April 9, 1914: Engineering Newsarticle. Excavation and Foundation Work for the Kensico Dam. By Wilson Fitch Smith. “SYNOPSIS-A masonry dam 307ft. high, 1843 ft. long, containing 900,000 cu.yd. of masonry will store 29 billion gallons of water near the lower end of the Catskill Aqueduct, New York City additional water supply. Expansion joints 80 ft. c. to c., drainage wells, inspection galleries, and an architectural treatment of the downstream face of the dam are among its special features. The contract price was nearly $8,000,000. Steam shovels were used for excavating work and cableways for handling the excavated material and much of the contractor’s plant. Guy and stiff-leg derricks were used to complete the excavation and to place masonry. 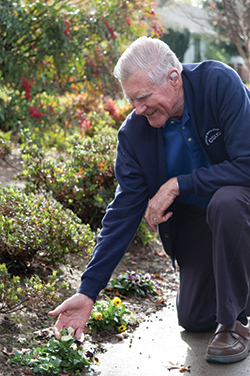 The contractor’s plant represents an investment of more than $1,000,000 and is operated largely by electrical current. 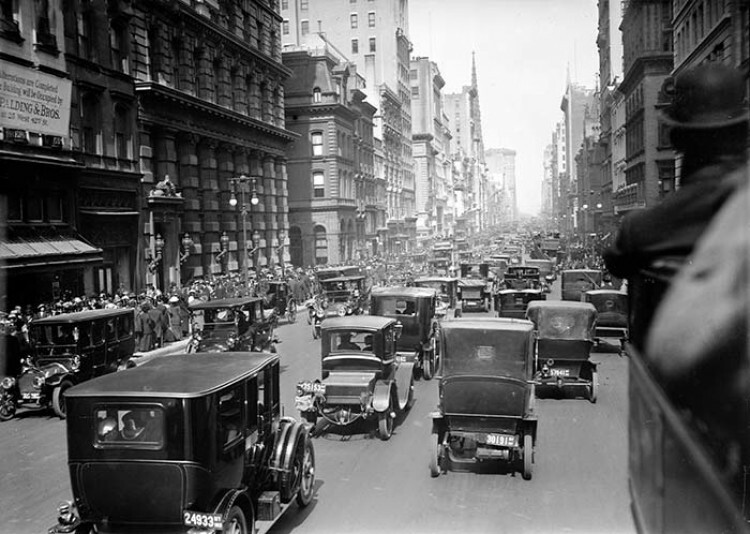 During seven months of 1913, a total of 316,000 cu.yd. and in September, 58,242 cu.yd. of concrete and concrete blocks were placed in the dam. Progress on construction to date indicates that the dam will be completed long in advance of the contract date, which was about 1920. Reference: Smith, Wilson F. 1914. 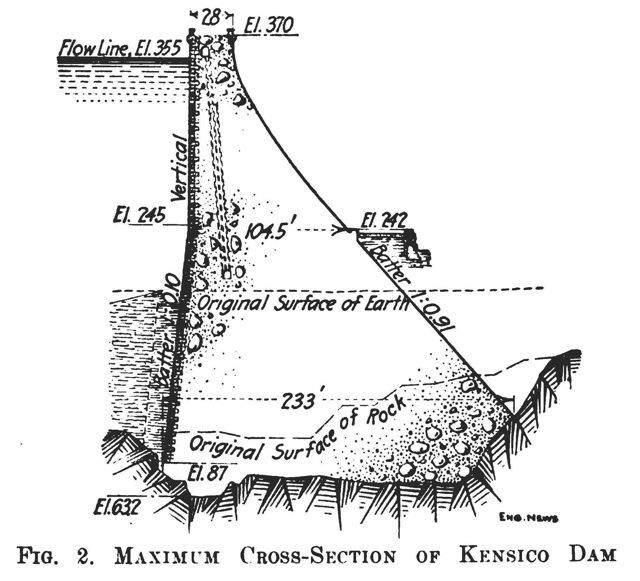 “Excavation and Foundation Work for the Kensico Dam.” Engineering News. 71:15(April 9, 1914): 763. 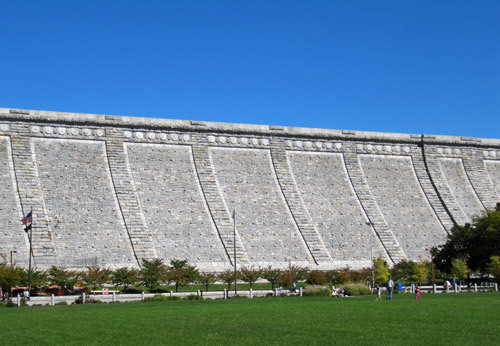 Commentary: This dam is one of the most beautiful masonry dams ever built. 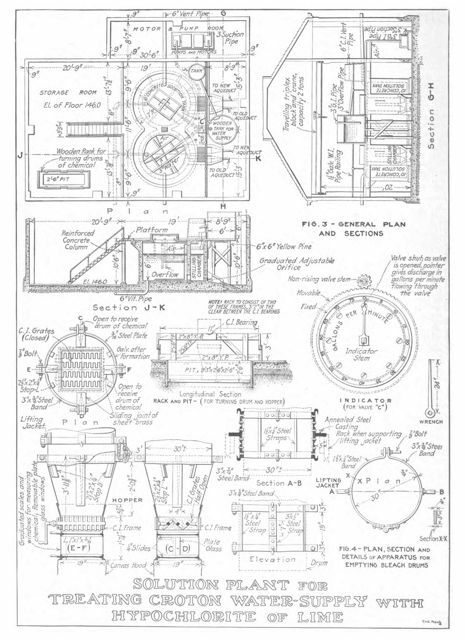 This entry was posted in Year 7 TDIWH and tagged Catskill Aqueduct, drinking water, Kensico Dam, New York City, public health, water, water history, water supply on April 9, 2019 by safedrinkingwaterdotcom. January 23, 1913: Two articles in Engineering News. 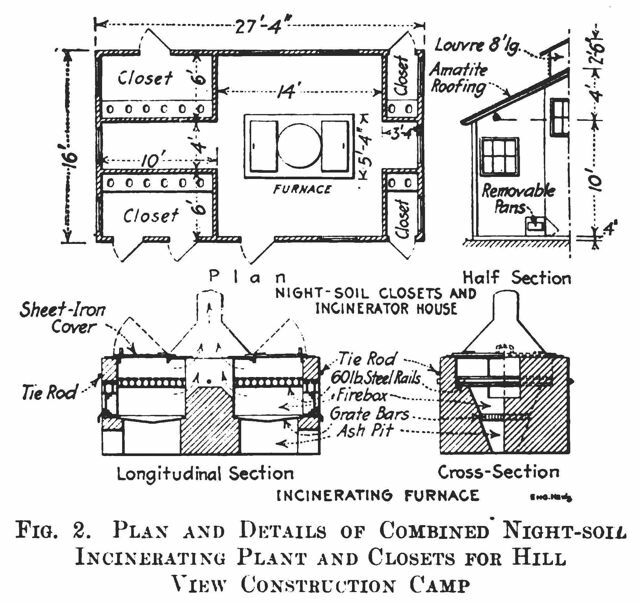 “Night Soil Incinerating Furnace at a Contractor’s Camp.” By Arthur W. Tidd, “The new 500-million-gallons-daily Catskill water-system for New York City, now being built by the Board of Water Supply, necessitates that construction work shall be carried on from the Ashokan Reservoir in the Catskill Mountains to New York City, a distance of approximately 100 miles. Throughout the whole length of the line a sanitary control is exercised, under the supervision of sanitary experts employed by the Board of Water Supply, over the housing and living of the laborers employed on the work and the disposal of all wastes. Clauses are inserted in the specifications of each contract placing upon the contractor the duty of carrying out the provisions required for proper sanitation and specifying in many cases just what these provisions shall be. One of these is the provision that buildings for the sanitary necessities of all persons employed on the work shall be provided, and that all excreta shall be incinerated daily…. Commentary: An early commitment by New York City to protect the water supply for the City. “A Low Record Death Rate for New York City.” “A total of 73,008 deaths in a single city in one year seems appalling until it is known that the city was New York, with a population sufficiently above five million to bring the rate per 1000 down to the remarkably low figure of 14.11. There are possibilities, of course, that the population estimate is too high or that the death registration was incomplete, but there seems to be reasonable basis for confidence in both. This confidence is increased when it is noted that the total number of deaths in 1912 was 2418 less than in 1911, and much less than the average for the ten years 1902-11; that there were heavy reductions over the average for 1902-11, in all the communicable diseases, in mortality from diarrheal diseases under five years of age, and in infant mortality; and that in the large non-communicable class the only increases in 1912 were in deaths from cancer, homicide and organic heart disease–the latter being offset by a decline in deaths from apoplexy and diseases of the arteries. Commentary: Improvement in the sanitary quality of the New York City water supply, improvement in the milk supply and better medical care account for much of the progress noted. NYC still had a long way to go. The infant mortality rate was 10% of live births which would be unconscionable today. Reference: Engineering News. 1913. 69:4(January 23, 1913): 164, 175. This entry was posted in Year 7 TDIWH and tagged Catskill water system, death rate, drinking water, incineration, infant mortality, New York City, Night soil, public health, typhoid fever, water, water history, water supply on January 23, 2019 by safedrinkingwaterdotcom. January 10, 1983: New York Times headline—Repair of Plant Ends Dumping of Raw Sewage. “The Wards Island sewage treatment plant, disabled when a huge valve burst six days ago, was back in operation yesterday, ending the daily discharge of 300 million gallons of raw sewage into the Harlem, Hudson and East Rivers. The city had been forced to divert the sewage from the plant after a ”cone check valve” cracked at 8:30 P.M. on Tuesday, sent a 12-foot jet of water into the air and caused the flooding of the plant’s six main motors…. 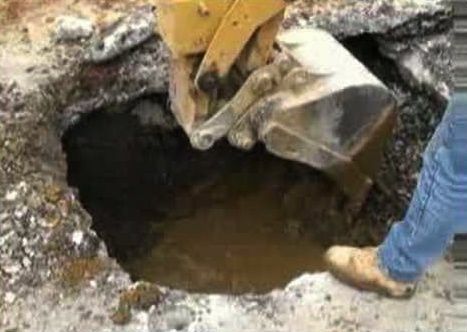 The total cost of fixing the plant will be about $330,000, according to John Cunningham, a spokesman for the city’s Department of Environmental Protection…. Some of the men at the plant estimate that 50 pounds of coffee were consumed in the kitchen in the last four days. Men slept there, too, as 12-hour shifts were the norm. Officials have not yet determined what caused the cone check valve to burst. 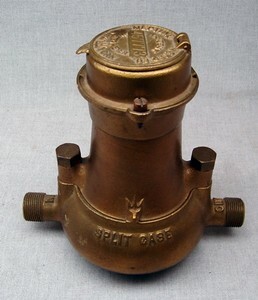 The valve is made of cast iron and is 48 inches in diameter. It was installed six years ago, when the 45-year-old plant was upgraded. 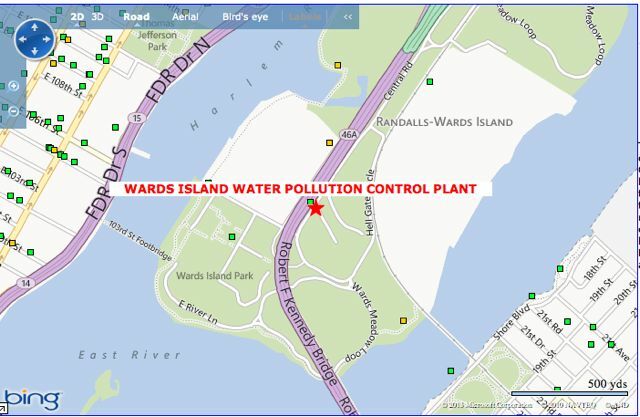 This entry was posted in Year 7 TDIWH and tagged New York City, public health, sewage, sewage discharge, Wards Island, water, water history on January 10, 2019 by safedrinkingwaterdotcom. December 8, 1888: Engineering Newsarticle—Jersey City Board of Public Works Opposed to Scheme Proposed by John R. Bartlett. “Jersey City, N. J .—At a meeting of the Board of Public Works on Nov. 3, the water supply question was still further discussed, speeches being made in favor of and opposition to the award of a contract to the syndicate represented by JOHN R. BARTLETT. The Citizens Committee has adopted the following resolution: “Resolved, That we are unalterably opposed to Jersey City making any contract with any private water company for a supply of water In Jersey City, as such a contract might surrender our rights In the Passaic river, and place us under the worst of monopolies—a private water company. We are in favor of the reorganization of the State Board of Water Supply; that the control of the drinking water of the State be given to said Board, with a view that all the cities in the State of New Jersey may obtain in the future an abundant supply of good water…. The Bartlett water supply project was formally presented to the city of New York on Nov. 30. Briefly stated, this proposal to furnish 50 million gallons daily of water to lower New York, under a head of 300 ft., comes from a syndicate of corporations in New Jersey. The water is to be gathered from the 877 sq. 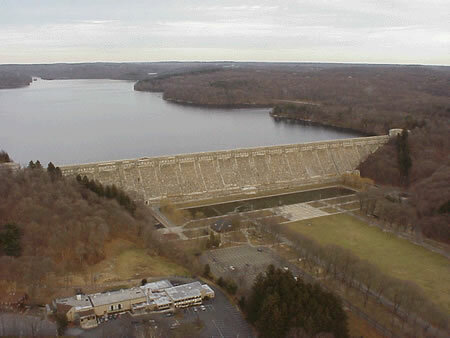 miles of Passaic river water-shed, stored in a reservoir at the Great Notch near Paterson, N. J., and is to be led by pipes and tunnel under the Hudson river directly to lower New York. 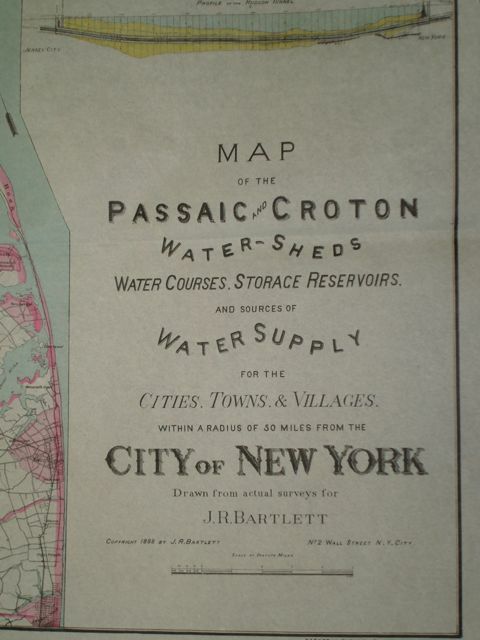 The advantages claimed are-abundant supply by gravity, constant fire-pressure, sales of water by the city for motive power, the saving of great mains from the Central Park Reservoir down town, and the preservation of the Croton supply for upper New York and the annexed districts. The syndicate promises a supply within 8 years from date of contract, and will charge the city $75 per million gallons, payable quarterly. The project is endorsed by responsible parties. In a later issue we will give the plan in fuller detail…. Reference: “Jersey City, N.J.” 1888. Engineering News. 20:(December 8, 1888): 458. Commentary: The water scheme to transfer water from the Passaic River watershed to New York City attracted tremendous support and violent opposition. Ultimately, the U.S. Supreme Court ruled against the interstate transport of water without the agreement of the state which is the source of supply. December 8, 1920:Engineering and Contractingarticle. Pollution of Public Water Supply by Spring Freshet. 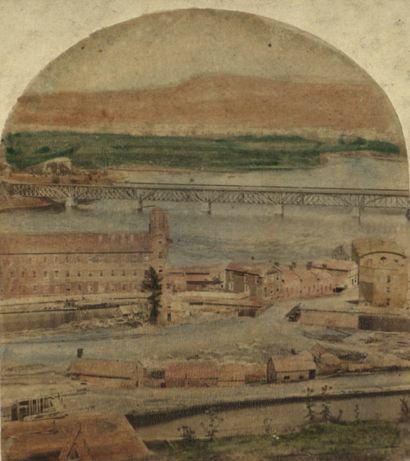 “In the spring of 1920 the engineering division of the New York State Department of Health was called upon to investigate an epidemic of gastroenteritis, followed by an outbreak of typhoid fever in the city of Schenectady, N. Y., which occurred subsequently to the gross pollution of the public water supply of the city by the water of the Mohawk River. The results of the investigation were set forth by Mr. Theodore Horton, Chief Engineer of the New York State Department of Health, in his reports to the Department…. 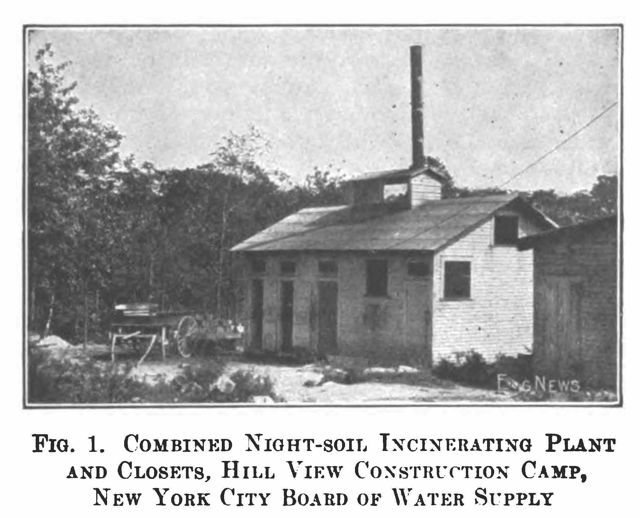 The matter was first brought to the attention of the Division of Sanitary Engineering on March 20, 1920, when information was received that on March 15 and a few days following, the number of cases of gastroenteric disturbances in the city had greatly increased above the number normally occurring; and that this increase had followed a noticeable turbidity in the water, which had been greatest on the night of March 13 and during March 14 and had gradually disappeared after the latter date…. 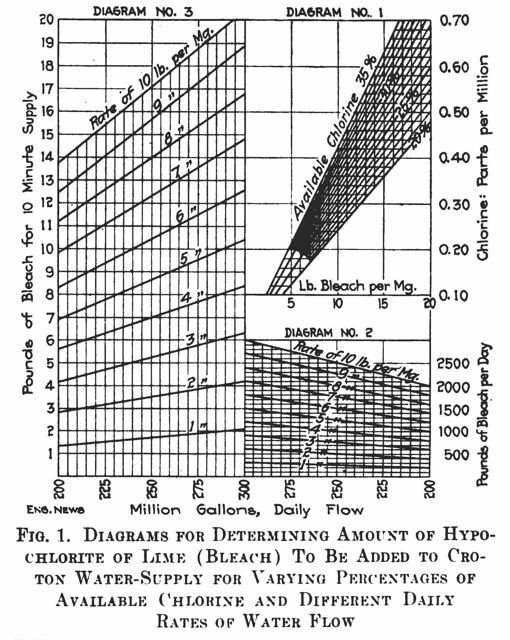 Reference: “Pollution of Public Water Supply by Spring Freshet.” 1920. Engineering and Contracting. 54:23(December 8, 1920): 562-4. 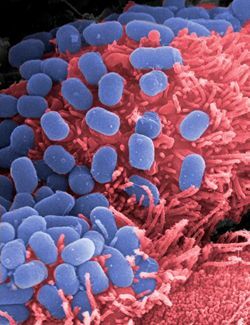 This entry was posted in Year 7 TDIWH and tagged gastroenteritis, Jersey City, John R. Bartlett, New Jersey, New York City, Passaic River, Schenectady, water supply on December 8, 2018 by safedrinkingwaterdotcom.